Wesley Hall, the first building erected on what is now the University of Winnipeg campus, is one of Winnipeg’s oldest educational facilities. 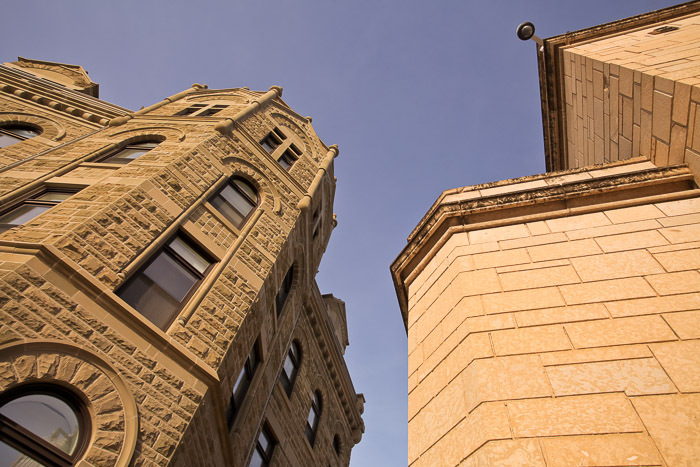 The castle-like structure, built to house the classrooms, offices and dormitories of Wesley College, a theological and liberal arts institute affiliated with the Methodist Church and University of Manitoba, also is one of the province’s best remaining examples of Richardsonian Romanesque architecture. 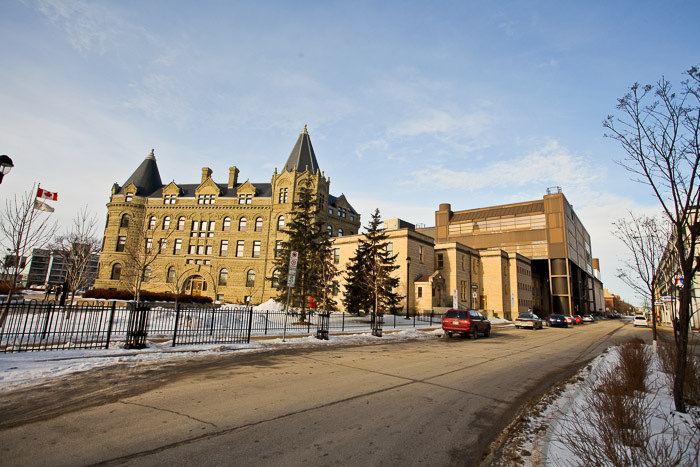 With modest additions, the facility remained the college’s principal building until the mid-1900s when increased enrolment, new programs and conversion in status to an independent degree-granting university required substantial campus expansion. Throughout this evolution, Wesley Hall’s location, scale and design have sustained it as a landmark and symbol of its campus, one that is highly visible within its formally structured site. During construction, the design was changed to use Calgary sandstone backed by brick, as opposed to the original limestone. The design change was primarily made for cost reasons; however, the use of sandstone has caused significant maintenance problems due to the softness of the stone. Restoration work began on the Hall in 1973, when the structure received historic landmark status. At first, the interior was restored, including a renovation of Tony’s Canteen (Room 407) by Etienne Gaboury Associates and, in 1997, Convocation Hall by Corbett Cibinel Architects. In 2007, Cibinel Architects oversaw the complete re-cladding of the exterior. The conservation work, which was undertaken by Alpha Masonry, was necessary due to severe deterioration of the original sandstone. Sandstone from Wallace Quarries in Amherst, Nova Scotia was used as a close match to the original stone.